Born to Eternal Life May 5, 2017, age 80 years. Beloved husband of Iris “Lucy”. Loving father of Elizabeth (Carl) Pearson, Carlos (Lynn) Acosta Jr., and the late Margie Acosta. Proud grandfather of Savanna and Lily Pearson and Victor and Anthony Acosta. 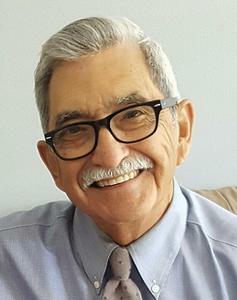 Carlos service as a Deacon for many of the South Side Catholic Churches over the years. Visitation at Our Lady of Guadalupe (Holy Trinity) Catholic Church, 613 S. 4th St. on Tues. May 9, 2017 from 9:00AM until the time of the Funeral Service at 10:00AM.